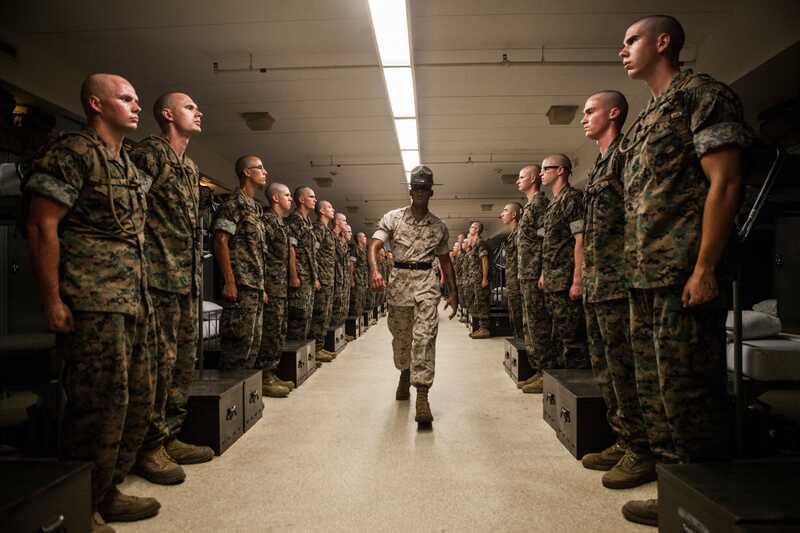 Officer Candidate School (OCS) candidates are picked up by their sergeant instructors aboard Marine Corps Base Quantico, Virginia, July 8, 2016. 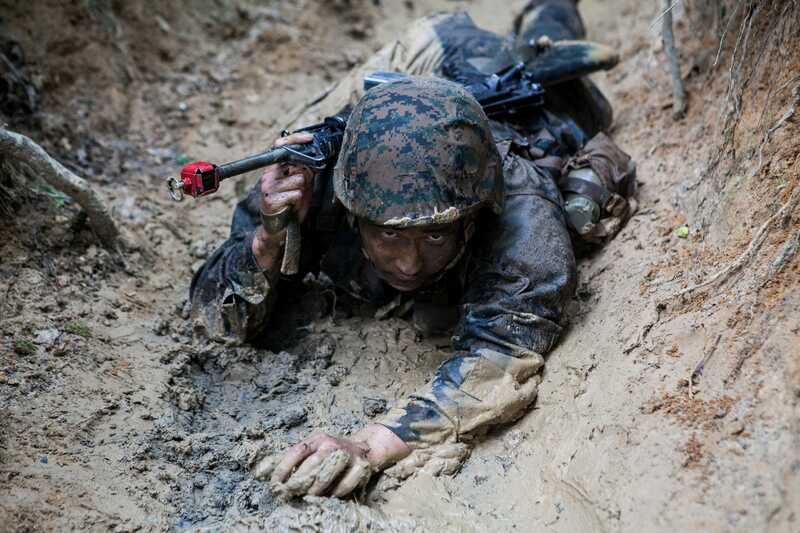 An officer candidate conducts the Combat Course at Quantico, Virginia, July 13, 2016. 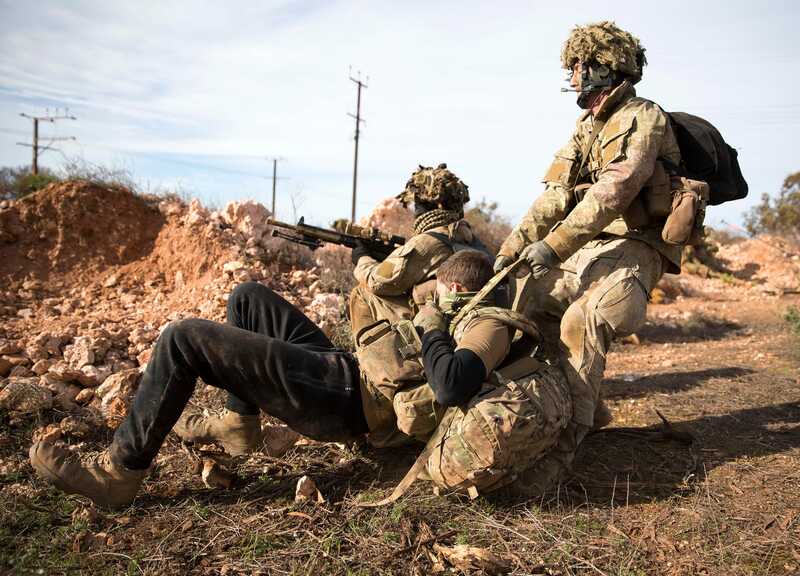 A New Zealand Army soldier drags a 'wounded' enemy soldier to safety as part of Exercise Hamel, South Australia, July 9, 2016. 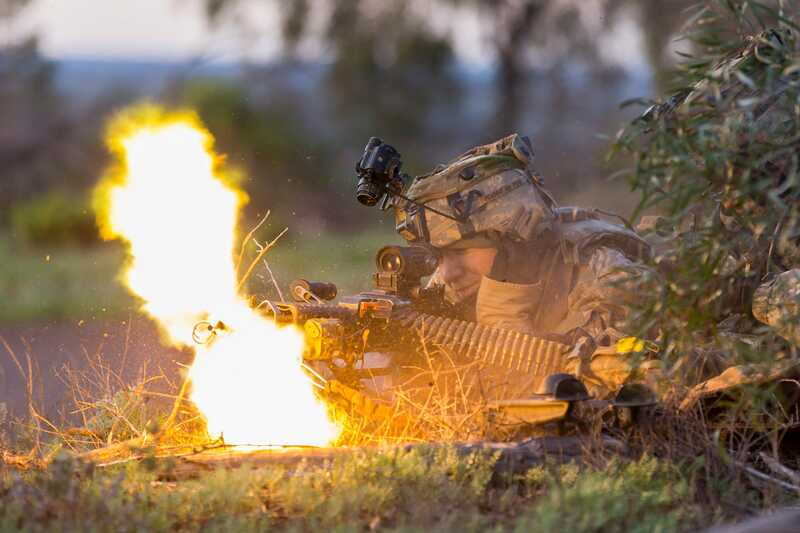 A US Army soldier engages the enemy during a clearance of a mock town during Exercise Hamel on July 9, 2016. 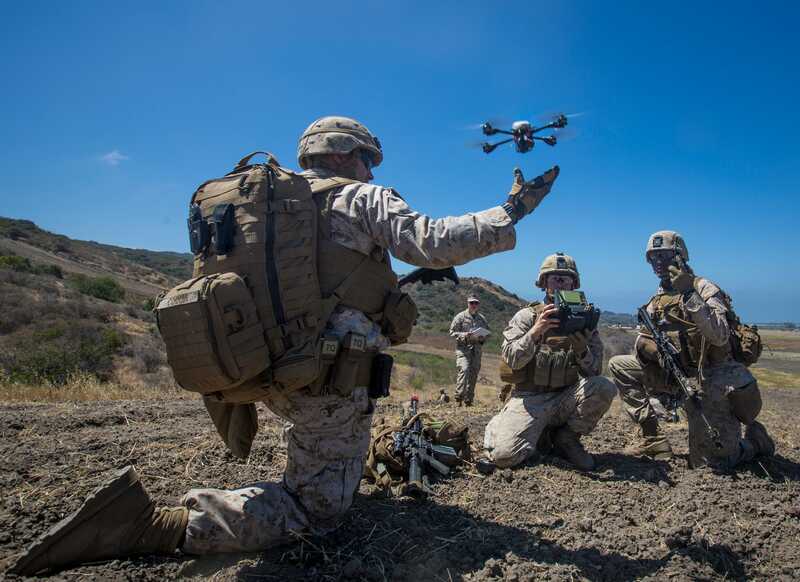 A US Marine launches the Instant Eye MK-2 Gen 3 unmanned aerial system during an exercise for Marine Corps Warfighting Laboratory's Marine Air-Ground Task Force Integrated Experiment on Camp Pendleton, California, July 9, 2016. 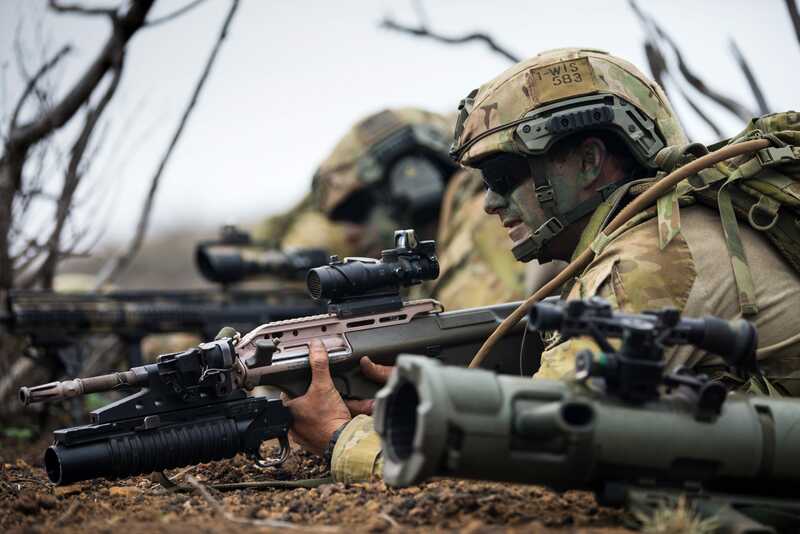 An Australian Army soldier watches for the enemy while conducting platoon attack training during Rim of Pacific Exercise 2016. 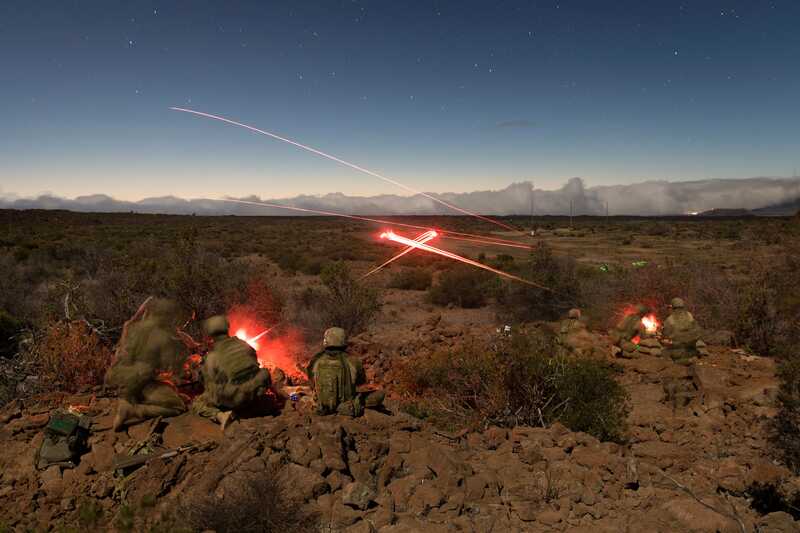 Australian Army soldiers engage targets in support of a live-fire section attack during Rim of Pacific Exercise 2016. 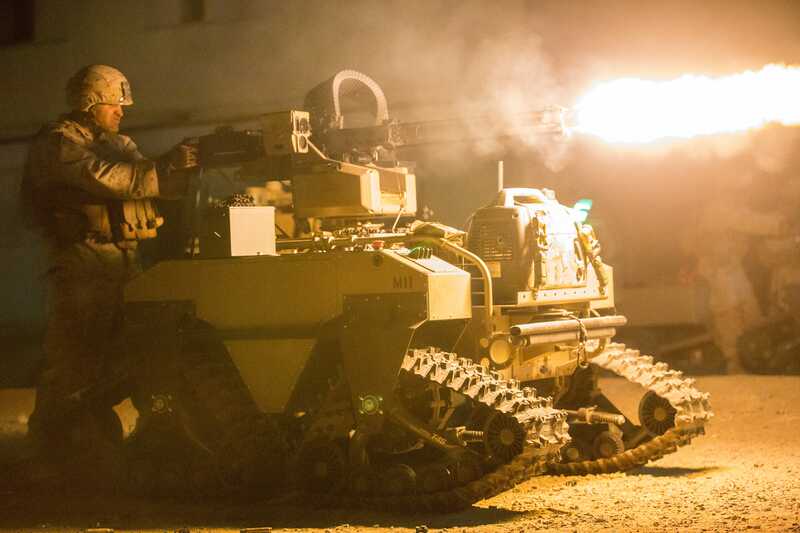 US Marines return fire against simulated enemies with the Weaponized Multi-Utility Tactical Transport vehicle. 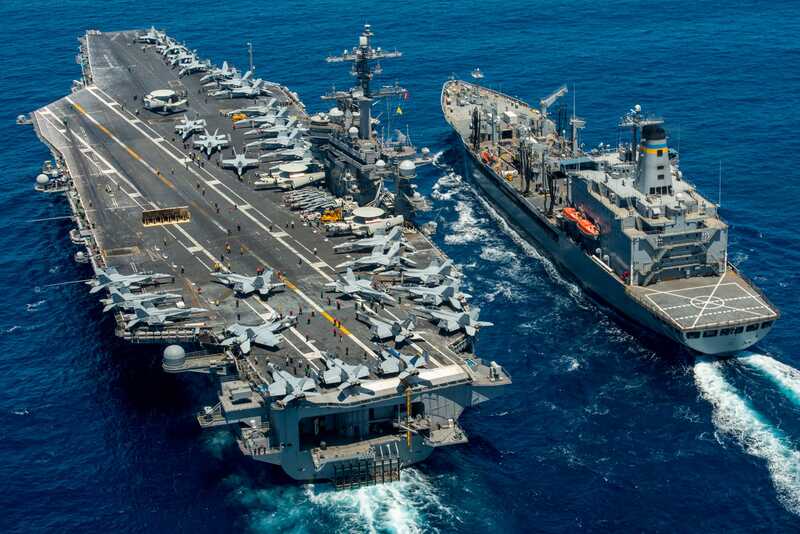 The aircraft carrier USS Carl Vinson (CVN 70) conducts a replenishment-at-sea with the fleet replenishment oiler USNS Yukon (T-AO 202). 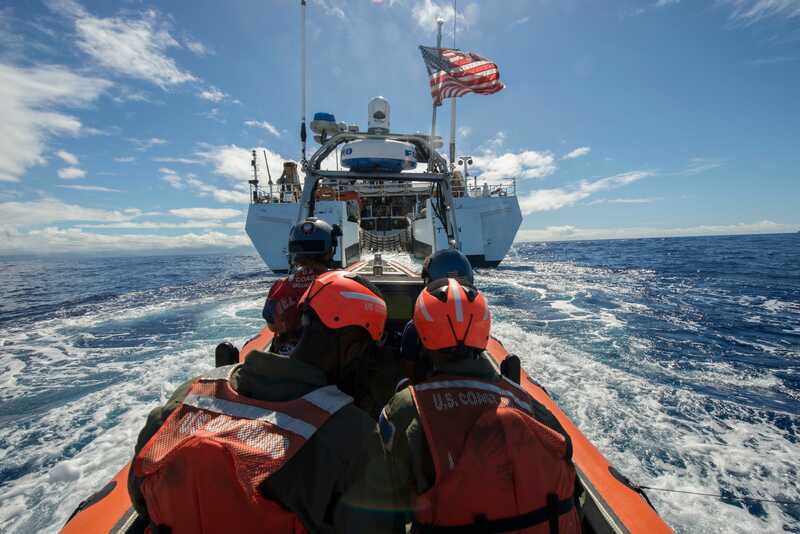 Coast Guard Cutter Stratton's crew members return after a humanitarian assistance/disaster relief event for Rim of Pacific Exercise 2016, Wednesday, July 13, 2016. 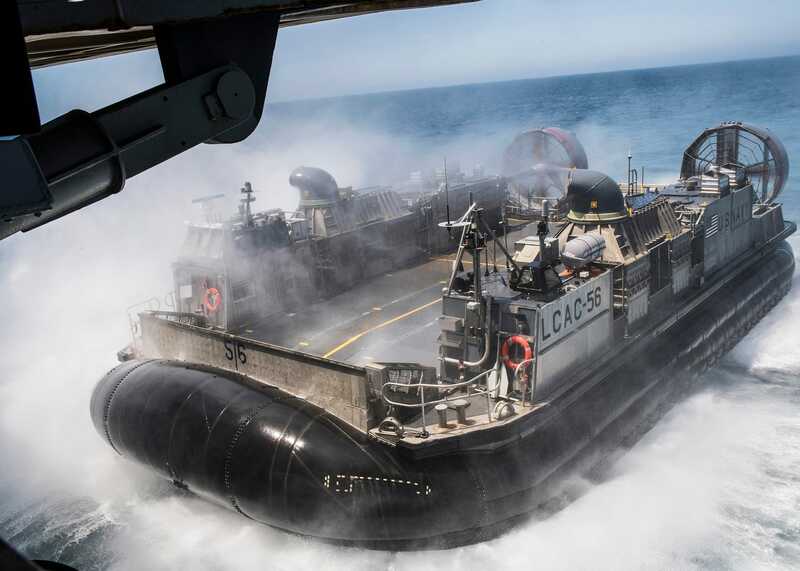 A landing craft air cushion (LCAC) vehicle prepares to enter the well deck of the amphibious transport dock ship USS Somerset (LPD 25) during a well deck onload operation, July 20, 2016. 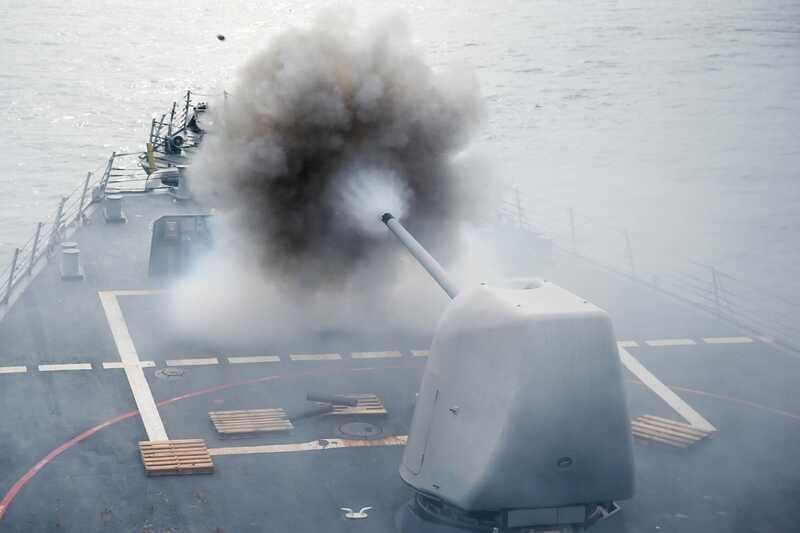 The Arleigh Burke-class guided-missile destroyer USS Stethem (DDG 63) conducts a firing exercise of the MK 45/5-inch lightweight gun at a surface target in the South China Sea, July 26, 2016. 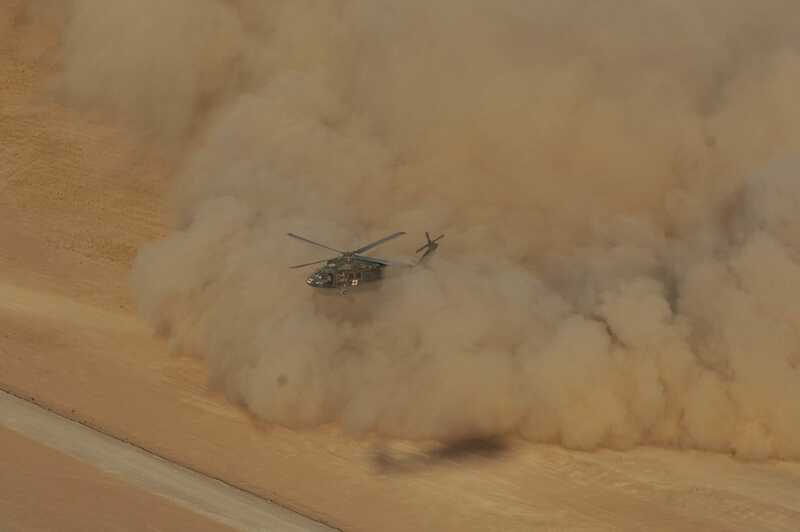 A UH-60 Black Hawk medevac helicopter conducts a limited visibility, or brownout, landing in northern Iraq, July 3, 2016. 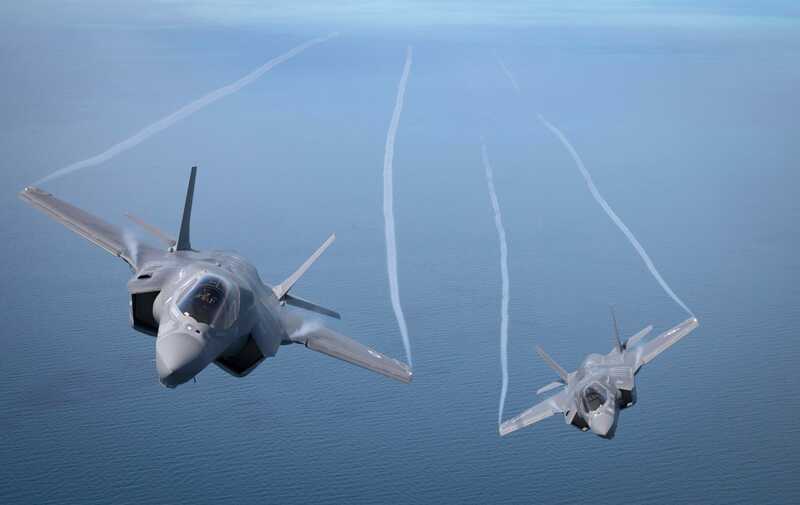 The first of Britain's new supersonic 'stealth' strike fighter is accompanied by a United States Marine Corps F-35B over the North Sea, having taken off from RAF Fairford on July 1, 2016 in Gloucestershire, England. 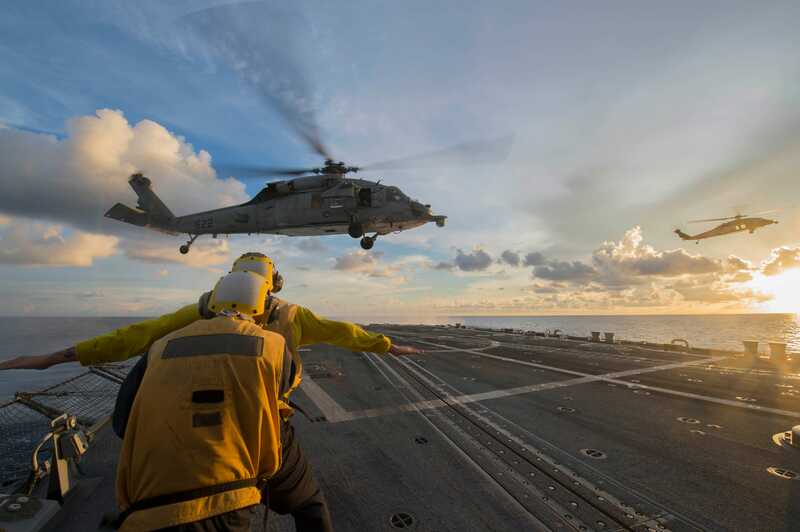 Sailors signal to an MH-60S Sea Hawk helicopter as it hovers over the flight deck of the Arleigh-Burke-class guided-missile destroyer USS McCampbell (DDG 85) during a visit, board, search and seizure training exercise, July 22, 2016. 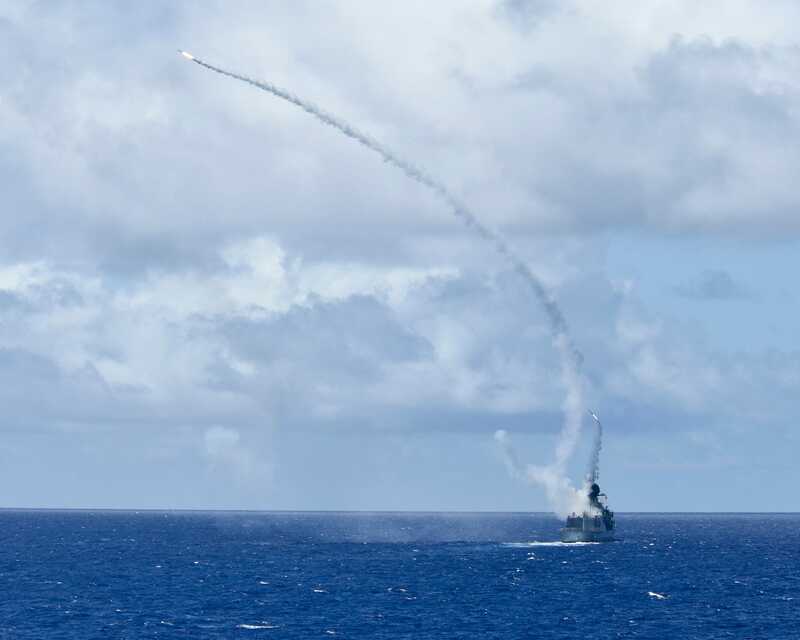 Two evolved sea sparrow missiles are simultaneously launched from HMAS Ballarat (FFH 155) as part of a live fire exercise during Rim of Pacific Exercise 2016. 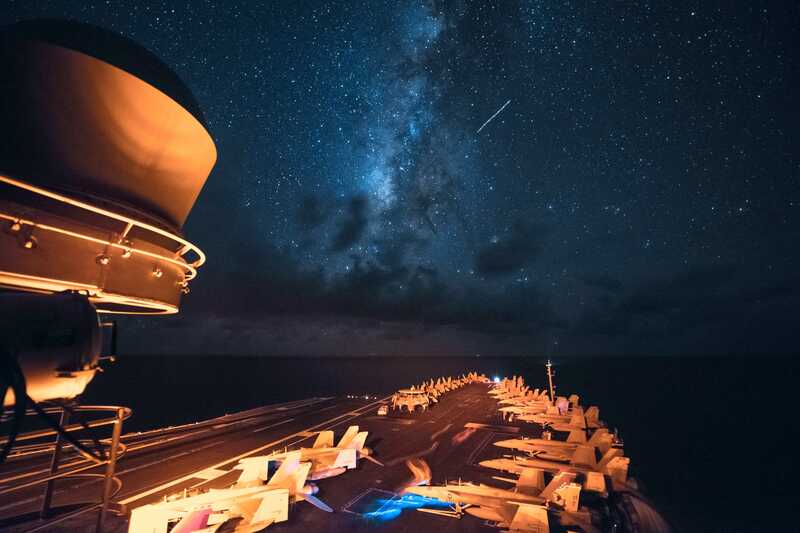 Aircraft, shooting stars, and planets are visible from the flight deck of the aircraft carrier USS Ronald Reagan (CVN 76) as it transits the Luzon Strait, July 1, 2016. 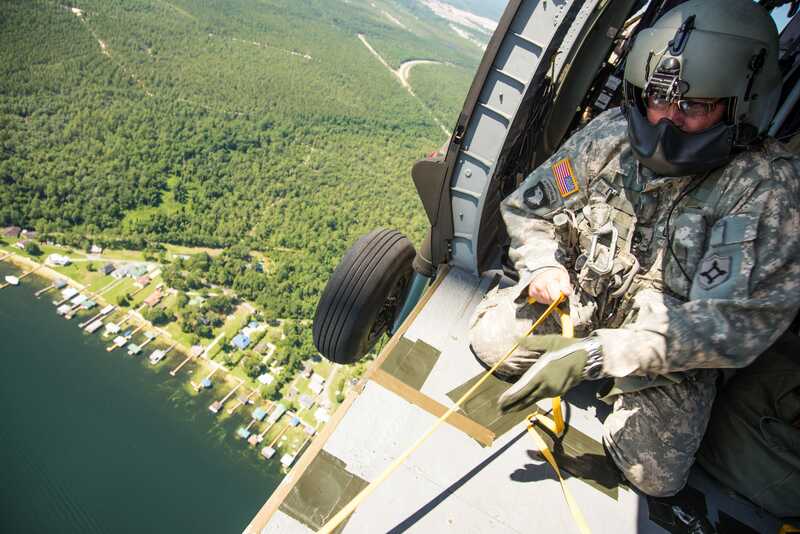 A US Army soldier pulls back the line after soldiers with the 20th Special Forces Group performed a static line jump into Kinglsey Lake at Camp Blanding Joint Training Center, July 12, 2016. 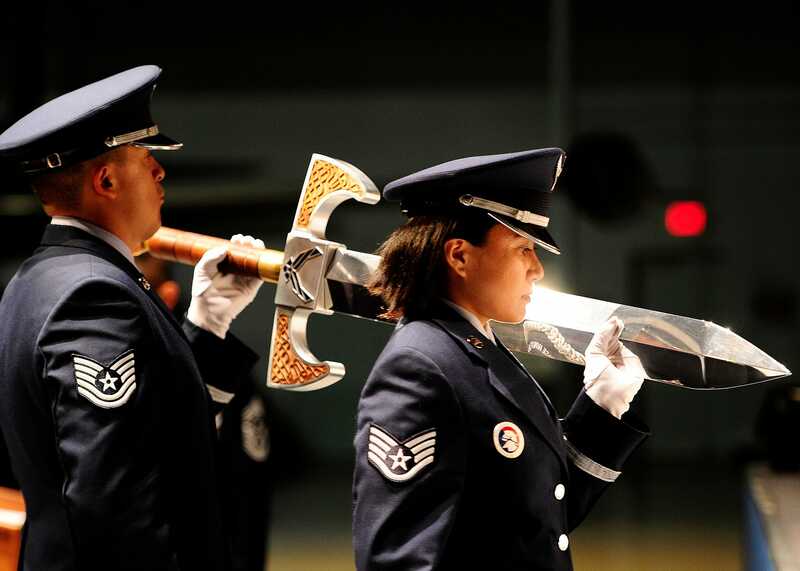 US Air Force Honor Guard members carry the sword used for the Order of the Sword ceremony at the Museum of Aviation in Warner Robins, Georgia, July 13, 2016. US Army Lt. Col. (Ret.) 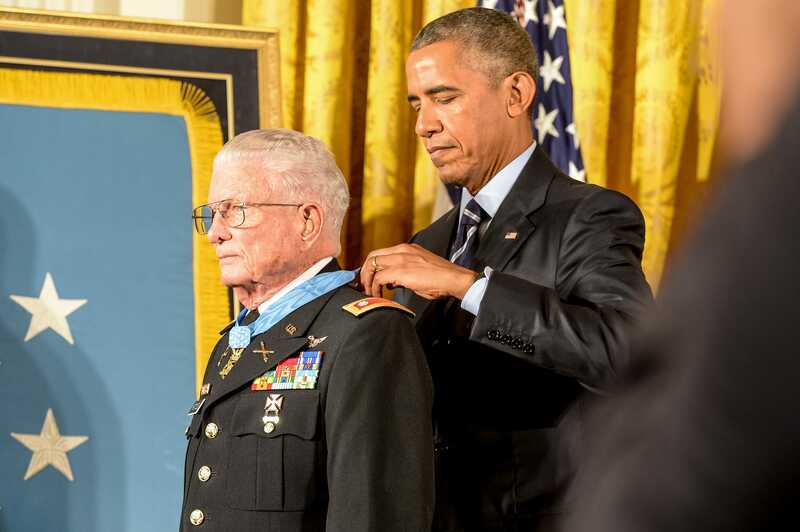 Charles Kettles is awarded the Medal of Honor at the White House in Washington, D.C., July 18, 2016, for actions during a battle near Duc Pho, South Vietnam, on May 15, 1967. Then-Maj. Kettles, assigned to 1st Brigade, 101st Airborne Division, was credited with evacuating dozens of soldiers in a UH-1D Huey helicopter under intense enemy fire.